It’s a new year, so it’s a great time to reflect on what people were most interested in reading about in 2018. It’s a new year, so it’s a great time to reflect on what our NDIS participants were most interested in reading about in 2018. 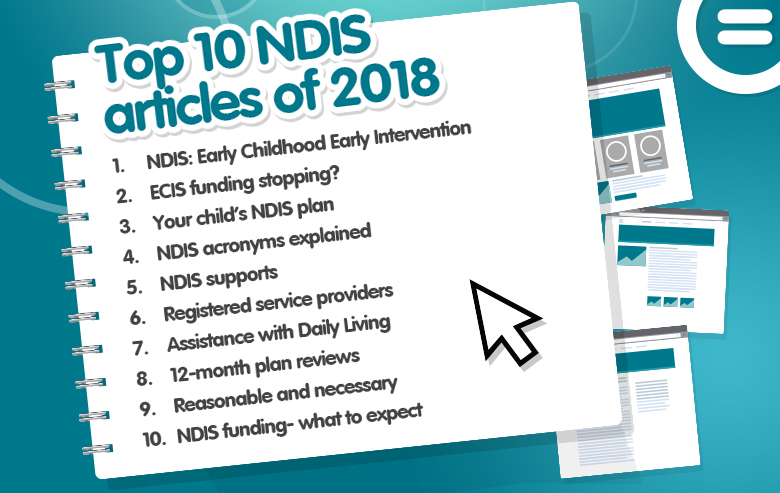 Yooralla’s most read NDIS article detailed the NDIS’s Early Childhood Early Intervention (ECEI) approach; while articles explaining NDIS acronyms, understanding an NDIS plan, what the NDIS does and doesn’t fund, and what to expect during a plan review also made up Yooralla’s top 10 articles of 2018. What exactly is the NDIS Early Childhood Early Intervention (ECEI) approach and what does it mean for children aged 0-6? If your child receives ECIS funding, do you know what to do when the funding stops? How can your child access the NDIS after their Early Childhood Intervention Services (ECIS) funding stops and how will this change affect their supports? When you receive your child’s NDIS plan, what steps do you need to take before your child can start using their NDIS funding? There are many different acronyms you may come across, which can make navigating the NDIS very confusing. What do they all mean? The different types of supports that make up your NDIS plan include formal, informal and mainstream supports. What do they mean and how do they apply to you? Why use a registered service provider? What are the advantages in choosing a registered service provider to deliver the funded supports in your NDIS plan? What are Core Supports, and what supports can be funded under Assistance with Daily Living? What does a NDIS plan review mean for you, and what do you need to know and prepare to make the most of your next NDIS plan? What does reasonable and necessary mean? Why is reasonable and necessary important in the NDIS? How can you tell if a support will be considered reasonable and necessary? What will the NDIS fund? What won’t they fund? What are the common misconceptions people have about funding? Still need more NDIS information? 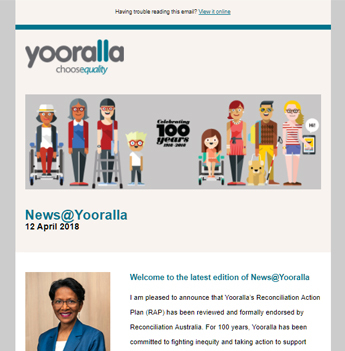 Yooralla has free guides to support you at all stage of your NDIS journey. Contact our Community Engagement team if you’d like printed copies. You can also meet with us for a free one-on-one discussion for any NDIS questions you have about your specific situation, and to find out how Yooralla can support you under the NDIS.